Cast Iron Skillet Ranch Potatoes are a unique twist on classic skillet potatoes. Baked & crunchy coated in ranch seasoning. 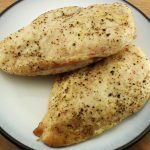 Weight Watcher friendly recipe- 5 SmartPoints! Potatoes… my favorite vegetable! Puffy, crunchy, salty, and delicious. I really could eat potatoes every day and be a happy woman. While that would be awesome, potatoes can be unhealthy, especially fried. Baked potatoes are probably the healthiest way to eat these delicious veggies. 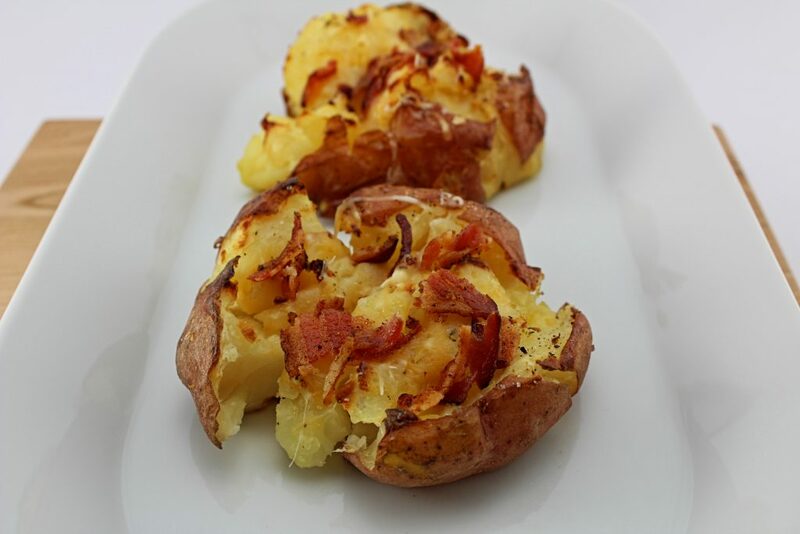 When baked, potatoes have the crunchy exterior with the creamy and puffy inside that I crave. My Cast Iron Skillet Ranch Potatoes are crunchy on the outside, puffy on the inside, and coated in ranch dressing seasonings. These potatoes are a nod to those beloved breakfast skillet potatoes you find at your local diner! This is a Weight Watcher friendly recipe and one serving is 5 SmartPoints. For this recipe, I use red potatoes. Something about red potatoes baking in the oven makes me really happy. They cook quickly and bake evenly in the oven. If you love red potatoes as much as I do, be sure to check out my Bacon Smash Roasted Potatoes recipe. I love my cast iron skillet. Seriously, it does wonders to food! Baking potatoes in the cast iron skillet creates a nice crunchy exterior to eat bite. The amazing thing about the cast iron skillet is that it holds in the heat and puts a nice char to what is baking inside. This recipe is easy to make and doesn’t require a bunch of ingredients. After the potatoes have been cleaned, cut into ½ inch pieces and add them into a zip lock bag. To the zip lock bag, just add olive oil, a couple tablespoons of the dry ranch dressing mix, salt and pepper. 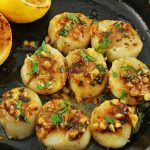 Shake the bag to get each potato coated in the delicious ranch seasoning and pour the potatoes into a cast iron skillet. Be sure to spread the potatoes out into the skillet so they are in an even layer. Spray the top of the potatoes with fat free butter spray and bake for about 20 minutes. After the potatoes have potatoes have baked for 20 minutes, remove the skillet from the oven and flip the potatoes so the other side gets a turn on the skillet side! Bake for another 10-15 minutes until the tops are golden brown. 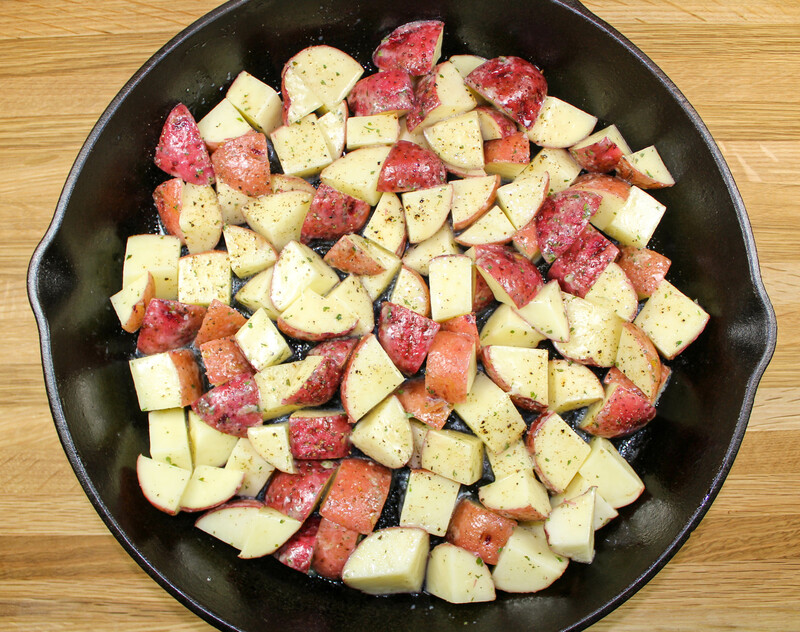 Cast Iron Skillet Ranch Potatoes are a unique twist on the classic breakfast skillet potatoes. 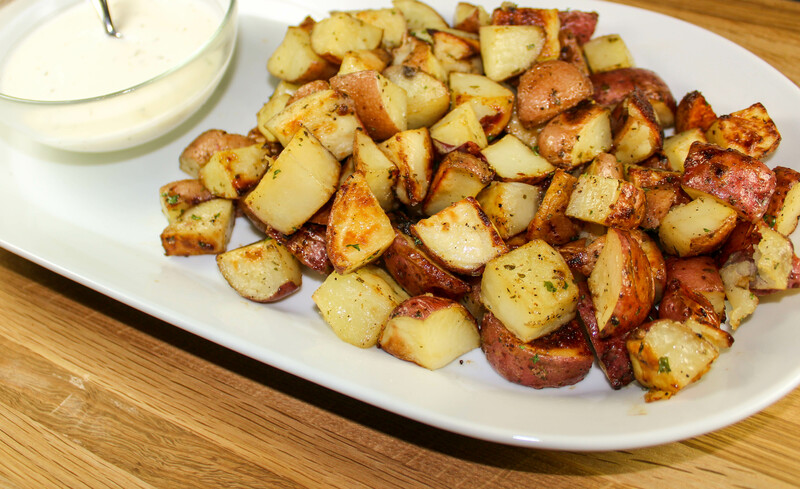 Baked, crunchy potatoes coated in ranch dressing seasoning… the perfect side dish for any meal! 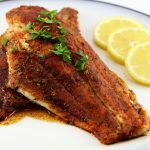 I like to serve this with a side of ranch dressing to really kick it up a notch! Kid-friendly and a guaranteed repeat recipe for you to make. Weight Watchers friendly and 5 SmartPoints per serving! I hope you enjoy these *ranch* bites of flavor! Add potatoes, olive oil, ranch dressing, salt and pepper to a zip lock bag. 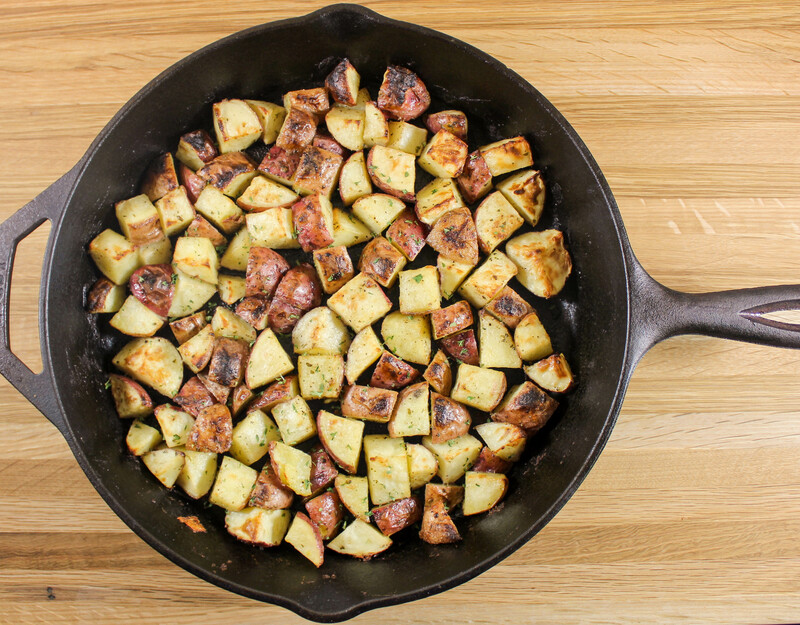 Spread potatoes into cast iron skillet to make even layer. Spray potatoes with butter spray. Remove skillet from oven, flip potatoes, and back for another 15 minutes until golden brown. Serve with ranch dressing! Here's my quick and easy ranch dressing dip: 1 Tablespoon ranch dressing mix (dry mix), 1 tablespoon reduced fat mayo, 2 tablespoons fat free Greek yogurt. November 17, 2016 at 8:47 am I love using my cast iron skillet!! So much flavor :) Thanks so much for commenting Melissa! 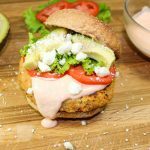 November 18, 2016 at 1:26 am Looks and sounds so tasty! I love potatoes! November 18, 2016 at 8:57 am Me too!! Thank you so much for commenting Julie!